Once I was interested in cycling and then I started to become better and better. Greatest racing memory: Omloop Het Nieuwsblad in 2007. I still like that race the most because it’s a cobbled race and one I used to watch as a small kid all the time. It’s not really my type of race, but I still did the final and I’m proud of that. Race I dream of winning: The Alpe d’Huez stage of the Tour de France because of all of the Dutch fans. 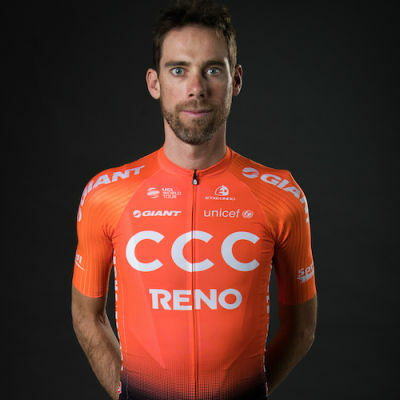 If I wasn't a pro cyclist: I’m not sure but I think life would be pretty much the same..
Laurens ten Dam joins CCC Team as one of the most experienced riders in the peloton with the 2019 season marking his 17th year as a professional. Having finished in the top-10 at the Tour de France in 2014 and the Vuelta a Espana in 2012, ten Dam’s climbing pedigree has helped him achieve personal results and play an integral role in team results. He helped former teammate Tom Dumoulin win the 2017 Giro d’Italia and finish second at the 2018 Tour de France. Ten Dam lives by a #LiveSlowRideFast mentality, one that has seen him become a fan favorite for what he does off the bike as much as what he does on it. When he is not racing or training, ten Dam could well be one of the busiest pros out there. His "Live Slow Ride Fast" podcast, Il Magistrale LtD coffee and LtD Gravel Raid keep him busy to say the least.